« Norm Macdonald explains Celebrity Jeopardy! Seuss? Vermont? “S” to “T”? That first round was about as perfect a board as I could ask for. In actual game news, it happens quite frequently, it seems, that a player will go wild on her first day, really get my hopes up for a long run, then completely collapse on first defense. Stephanie fell victim to this tonight. Similar situation to last night. I’ll continue with the visual calculations. 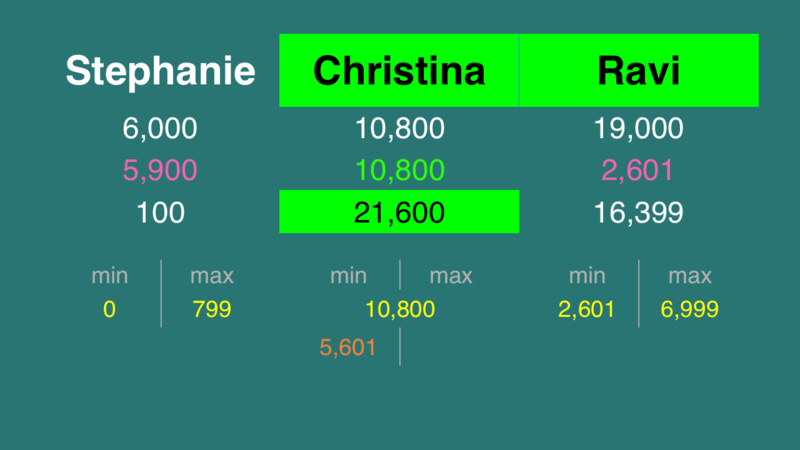 If Christina doubles her score, she’ll have 21,600. 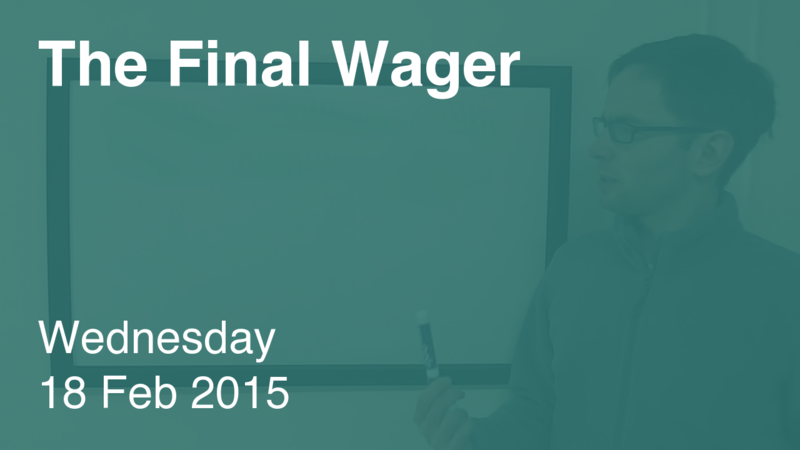 To cover this all-in wager, Ravi will need to wager 2,600. An incorrect response with that wager will leave Ravi with 16,400. To get above his total, Christina must wager at least 5,600. Were I Stephanie, I’d cap my wager at 799. This was a great Final clue – one of the best this season. It doesn’t tell you exactly what’s important, but if you think about why the name and (to a lesser extent) the years are relevant, the correct response should jump out at you. Congrats to Christina on becoming the first player to respond correctly to a Final this week. We’ll see if she can do it again tomorrow. What is “Dancing Queen” by ABBA?